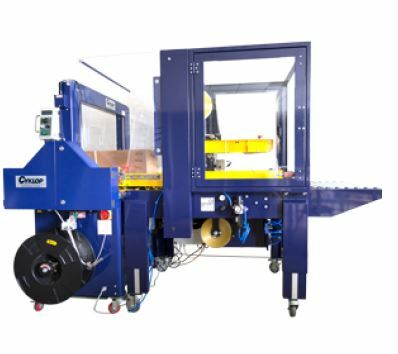 The updated strapping machine Ampag Boxer II is a machine for automatic strapping of products (cardboard boxes, wooden beams, etc.) with PP strap. The Ampag Boxer II offers the same quality, speed and reliability as its predecessor and has a number of improvements. The Ampag Boxer II is distinguished by reliability, easy operation and low maintenance. Easy and simple strap insertion. Taping and strapping in a single operation! The combination of our box sealing machine and strapping machine can be perfectly integrated into your packing line to permanently improve efficiency. Firstly, the boxes are closed at top and bottom with tape, and then they are automatically strapped. 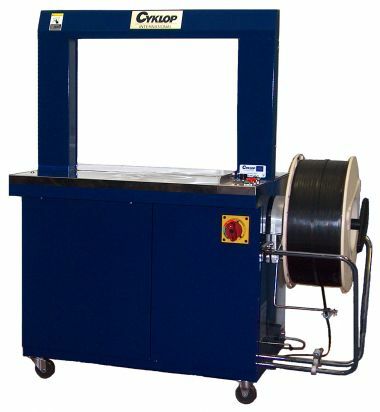 The strapping machine Ampag Boxer YM is a reliable stainless steel strapping machine, with a strapping head on the side. This makes the machine resistent to dust and dirt. Because the strap tension is easy to adjust, the Ampag Boxer YM can be used for strapping a wide range of products. The automatic strapping machine Ampag Boxer YM is useful in many industries. This machine is very easily integrated into a fully automated packing line. 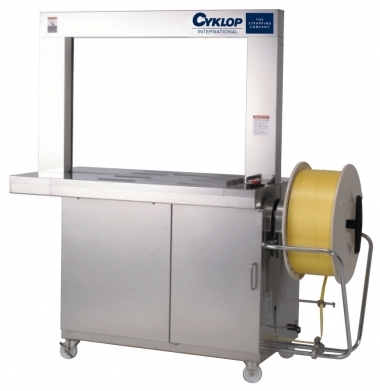 The strapping machine Ampag Boxer Y is a reliable strapping machine, with a strapping head on the side. 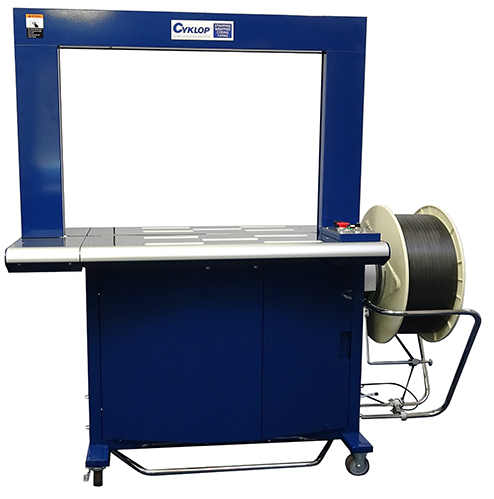 Because the strap tension is easy to vary, the Ampag Boxer Y can be used for strapping a wide range of products. The automatic strapping machine Ampag Boxer Y is useful in many industries. This machine is very easily integrated into a fully automatic packing line. The automatic strapping machine Ampag Boxer S is equipped with a smaller aggregate and is therefore very suitable for strapping small products or products with an unusual shape, such as PVC pipes. Up to 55 straps / min. 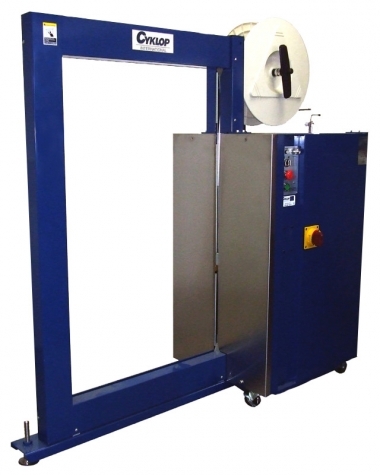 The automatic strapping machine Ampag Boxer M is a reliable stainless-steel strapping machine. 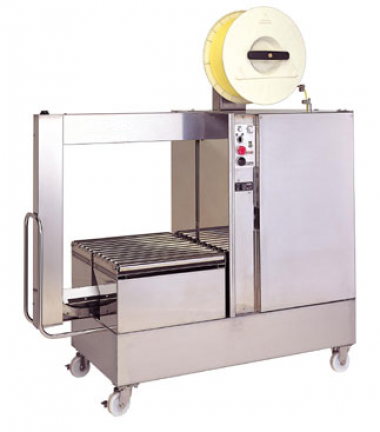 This machine is easy to operate and can be integrated (optional) into a fully automatic packing line. 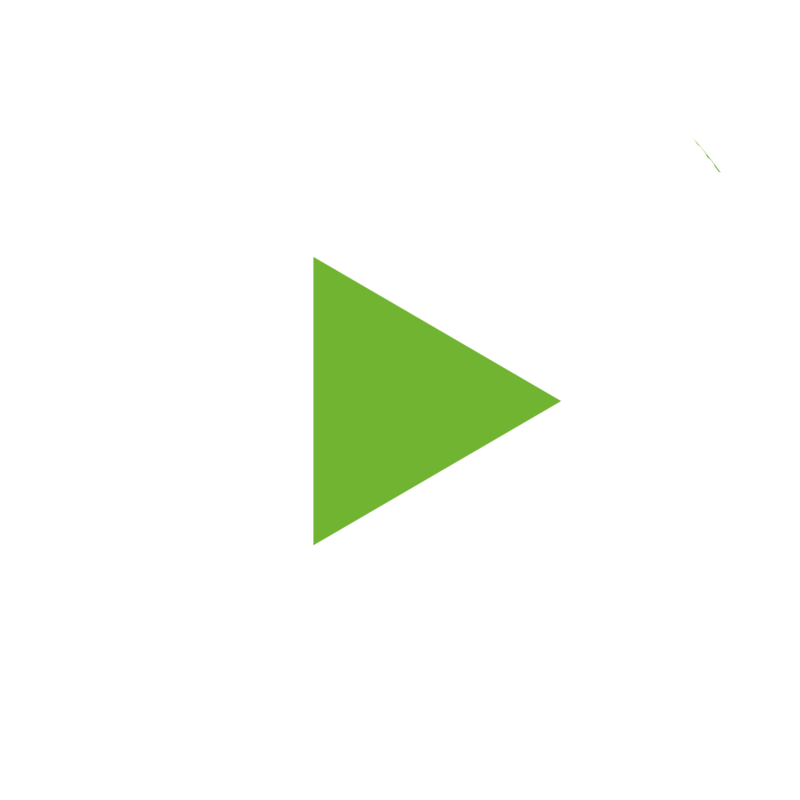 High efficiency and reliability make the Ampag Boxer M suitable for use in many industries. Up to 40 straps / min. The automatic strapping machine Ampag Speed is suitable for strapping various packages and products such as boxes, postal packets and newspaper bundles. The Ampag Speed stands out for reliability, ease of operation and low maintenance requirements. 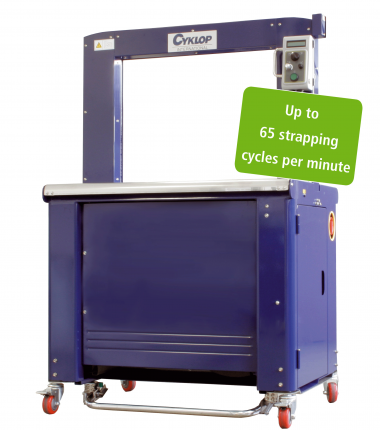 In addition, the Ampag Speed is very fast, achieving up to 65 strapping cycles per minute.